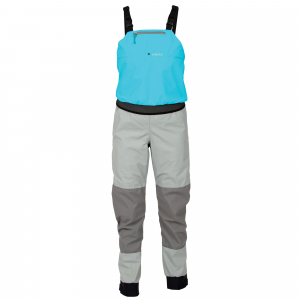 Kokatat Women's Hydrus Whirlpool Bibs - The Kokatat Women's Hydrus Whirlpool Bibs is a versatile choice for anglers and paddlers on a budget. 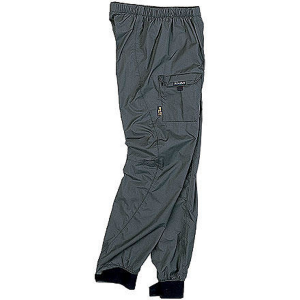 Other features include a zippered top-loading chest pocket, adjustable suspenders and self-draining seat and knee reinforcement patches to keep you comfortably dry all day. 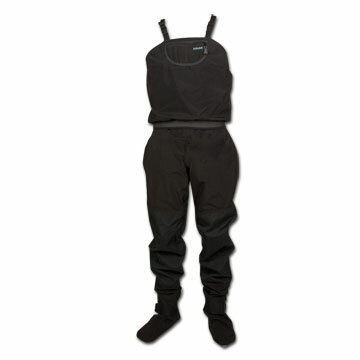 The versatile Kokatat Hydrus 3l Whirlpool Bib gets the job done without breaking the bank so you can complete your whitewater kit and get out on the water sooner. 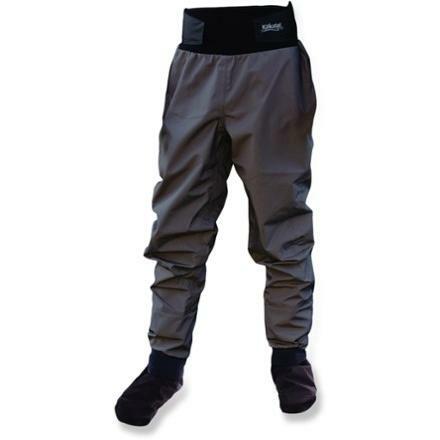 Its waterproof, breathable construction keeps you dry and comfortable through rapids while self-draining seat and knee reinforcement patches level up the durability to keep the bibs in action for many seasons to come. Finally, the adjustable suspenders allow you to create a perfect fit that's just for you. 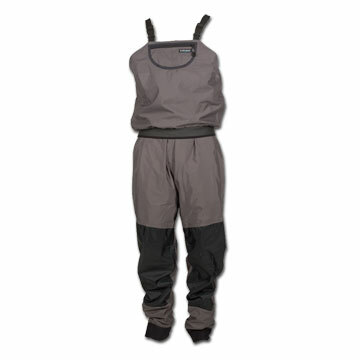 Pair the bibs with a dry top and head for the river to stay comfortably dry all day.